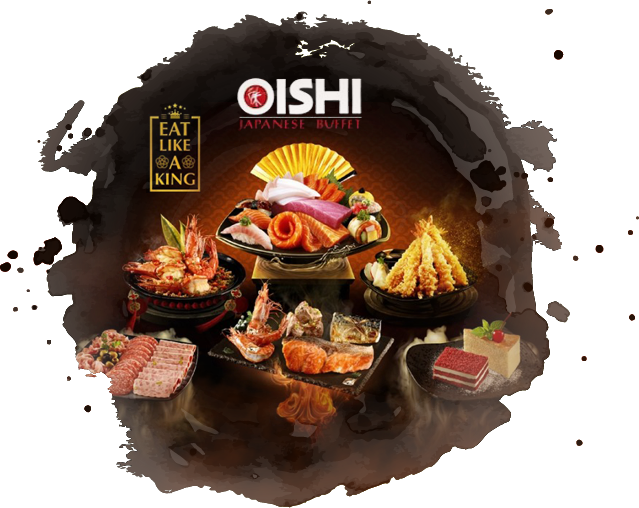 “OISHI BUFFET” , The First Japanese Buffet’s style in Thailand. It’s our pleasure to serve you a wide variety of more than 80 different dishes all day long. From the finest quality Japanese Food, Teppanyaki, and A La Carte or made to order menus. Plus choices of refreshment drinks and delightful desserts. With the concept of All You Can Eat, you can enjoy our fresh and delicious foods unlimitedly for 1 hour and 45 minutes. After making a payment, our staff will bring a golden bar to your table. Your credit card, change, and receipt will be return to you within 30 minutes. We wish you to enjoy dining with “OISHI BUFFET”. ⌚ You can enjoy for 1 hour and 45 minutes.